The four-day conference is meant to connect studios with theater owners, but it also serves as a hype-building ground for blockbusters-in-the-making. Here's what to expect. Disney will make its first presentation since acquiring Fox, while Sony opted to sit out altogether. (That means no footage from the new installments of “Men In Black,” “Spider-Man,” or “Zombieland,” or from Quentin Tarantino’s “Once Upon a Time in Hollywood.”) Warner Bros., Universal, and Paramount will all be on deck to show off their upcoming slates, and mini-majors like Lionsgate and STX Entertainment will also occupy prime presentation slots. Up-and-coming boutique distributor Neon will likely bring its upcoming slate to a Monday night screening of its upcoming release “Wild Rose,” followed by a Tuesday night performance and party for the film. Both Warner Bros. and Amazon will use their prime post-presentation evening event slots to tout new acquisitions: On Tuesday night, Warners will host a special screening of its Sundance pickup “Blinded by the Light,” with Amazon trotting out its own big Sundance buy on Wednesday evening with a screening of “Late Night.” The four-day event will close out with a screening of Lionsgate’s “Long Shot” starring Charlize Theron and Seth Rogen. Here’s what the studios are (probably) bringing to Vegas. The boutique distributor gets two days to show off “Wild Rose,” the musical drama it purchased at TIFF 2018. While the Tuesday evening party will celebrate the film with music, cowboy boots, and an open bar, on Monday night, co-founder and CEO Tom Quinn, distribution head Elissa Federoff, and distribution VP Kim Kalyka will be on hand for Neon’s first-ever CinemaCon presentation, with “Wild Rose” stars Jessie Buckley and Julie Walters likely on hand. Also expect touting for festival hit “The Biggest Little Farm” and Sundance standout “Luce,” which is next gearing up for a Tribeca screening. What’s at stake: Neon will have to put on a big show to prove to the crowd why their limited releases are worth as much attention as those coming from the studio heavy-hitters. STX kicks off CinemaCon’s official studio parade with a prime Tuesday morning slot, but the independent studio will share the morning with the annual “State of the Industry” presentation that includes awards presentations, a “salute to the top worldwide grossing films of 2018,” and industry addresses from NATO head John Fithian and MPAA head Charles Rivkin. Motion picture group chairman Adam Fogelson doesn’t have a huge 2019 slate to tout, but he’s certainly got a varied one. First up, the animated “UglyDolls,” which makes up for its seeming lack of originality (it’s based on a line of, yes, very ugly toys), with a star-studded, singer-heavy cast that includes Kelly Clarkson, Nick Jonas, Janelle Monáe, Pitbull, Blake Shelton, and Wanda Sykes. STX would be smart to kick things off with a performance from some of the film’s stars, all the better to hype a feel-good family film with major musical chops. What’s at stake: STX originally aimed to make over a dozen original films per year, which has yet to pan out. Does their future seem sufficiently robust? Also, they have a couple of films that have yet to reveal much: the Diane Keaton-starring “Poms” has released just one trailer, while the July crime thriller “17 Bridges” starring Chadwick Boseman has been oddly silent. A trailer reveal by producers (and CinemaCon regulars) Joe and Anthony Russo sounds like a no-brainer. On Tuesday afternoon, Warner Bros. will get nearly two hours to trot out its slate, and chairman Toby Emmerich and distribution heads Ron Sanders and Jeff Goldstein have a lot to show off. Warners has nearly 20 new titles to come in 2019, including the kind of blockbusters that make theater owners giddy. 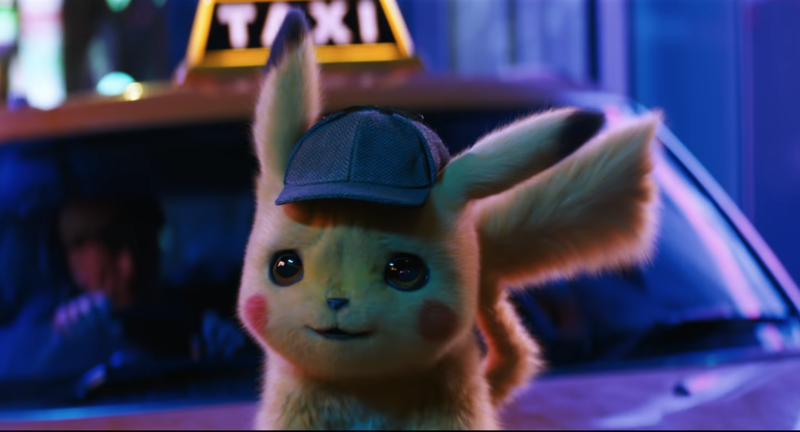 May release “Detective Pikachu” offers the most chance for fun, and always-game star Ryan Reynolds seems like the kind of guy who’d happily show up in a Pokemon suit and show off new footage. Other franchise offerings will likely dominate the presentation, from “Godzilla: King of the Monsters” to “Annabelle Comes Home,” both key continuations of the studio’s Monster-Verse and Conjuring-Verse, respectively, not to mention “It: Chapter 2.” And what of the DCEU? The well-reviewed “Shazam!” will hit theaters at the tail end of CinemaCon, offering built-in buzz. The “Harley Quinn” spinoff is still filming, but first-look footage would be warmly received (and would set the internet alight), and Todd Phillips’ upcoming “Joker” could stand to release a trailer to show off Joaquin Phoenix’s new take on the old villain. Universal loves to put on a show at CinemaCon — last year, they opened with a “Mamma Mia!”-belting Cher before leaning into first-look “Halloween” footage. This year offers a similar opportunity: Rumor has it that the studio will roll out another large-scale musical number, this one centered around its upcoming “Cats” adaptation, slated for Christmas. Upcoming this summer are “The Secret Life of Pets 2,” “Fast & Furious” spinoff “Hobbs and Shaw,” and “A Dog’s Journey,” and November will see a currently untitled Will Packer comedy; CinemaCon might be a good time to drop the director, plot, cast, and stars, all of which are currently under wraps. The studio is set to release a pair of still-untitled Blumhouse features in September and December, and the theater owners would love to hear more information about what’s coming out of the always-bankable horror house. Also, CinemaCon Spotlight Award winner Octavia Spencer should be on hand to hype up her upcoming horror film “Ma,” another Blumhouse joint that Universal will release in May. What’s at stake: Last year, Universal was number 3 in market share, not far behind Warners. Does the stuido have a shot at becoming number 2, or could it lose that perch to Sony? Disney already dominates the domestic box office — in 2016 and 2018, its total take crossed the $7 billion mark. In its new form, it will be impossible to beat, so there’s no other studio theater owners are happier to see. 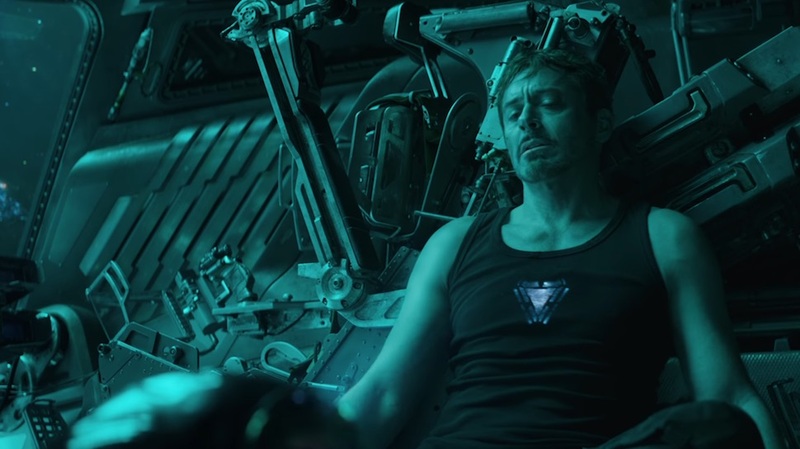 Something “Avengers”-centric is obvious, while live-action remakes like “The Lion King” and “Aladdin” should offer some flashy footage to combat any doubts issued by recent lackluster “Dumbo” reviews. Much-anticipated animated sequels like “Toy Story 4” and “Frozen 2” could also lead the studio’s presentation as they’re the kind of money-in-the-bank features that will send the crowd into hysterics. What’s at stake: The Fox layoffs are still fresh and it will be essential to present a united and happy front. While Paramount’s 2019 output hasn’t been thrilling — the underachieving “What Men Want” and the pricey $100M animated head-scratcher “Wonder Park” have been its only releases so far — 2018 played home to some major hits, including “A Quiet Place” and “Mission: Impossible — Fallout.” While this year’s presentation likely won’t feature the whiz-bang of last year, which was built around “M:I” star Tom Cruise and his full-tilt charisma, motion picture group chairman Jim Gianopulos and domestic distribution head Kyle Davies will chat up varied summer and fall slates. 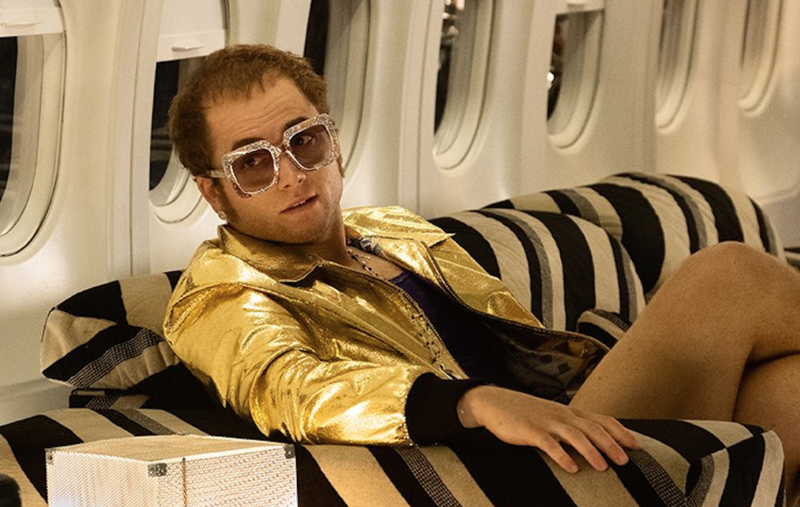 Hot off a pair of well-received footage screenings in Los Angeles and New York — and with buzz building for a Cannes premiere — Dexter Fletcher’s May release “Rocketman” will likely play a major part in the presentation. Perhaps star Taron Egerton, who plays Elton John in the fantasy-heavy biopic, will treat the crowd to a song or two (he does his own singing in the film). The cast of November’s “Terminator: Dark Fate” is slated to receive the CinemaCon Ensemble Award on Thursday night, so stars Linda Hamilton, Natalia Reyes, Mackenzie Davis, and Gabriel Luna should be in attendance, all the better to debut first-look footage at the much-anticipated Tim Miller-directed sequel. Paramount will soon release a pair of kid-centric films, including “Dora and the Lost City of Gold,” which just debuted its first trailer, along with “Sonic the Hedgehog,” which is due for its own first-look footage (after some strange online backlash around its first posters, the film needs a kick in the pants). What’s at stake: How much will the studio will show off Ang Lee’s upcoming “Gemini Man”? While the long-anticipated actioner features Will Smith in a dual role, it also sees Lee returning to a high frame rate (120fps) after the bust that was “Billy Lynn’s Long Halftime Walk.” Few theaters are equipped for the technology, so Paramount will have to make a hard sell to theater owners if they’re going to upgrade. Lionsgate will close out CinemaCon Thursday afternoon with a truncated presentation and a screening of Jonathan Levine’s “Long Shot.” The rom-com recently premiered at SXSW to stellar reviews and will hit theaters in early May. With so much of Lionsgate’s time slot dedicated to the screening, Lionsgate brass (including motion picture group chairman Joe Drake and domestic distribution head David Spitz) will have just a half hour to trot out other releases. With a stacked calendar, it will be on the hook to deliver only the best stuff. “Hellboy” star David Harbour will likely pop up — he’s receiving the CinemaCon Action Star of the Year award — although the film hits theaters just days after CinemaCon wraps. Lionsgate has already bowed trailers for “John Wick 3” and “Scary Stories to Tell in the Dark,” which leaves precious minutes for the mini-major to offer up first looks at films that haven’t shown any footage, like August release “Angel Has Fallen” or September’s “Rambo: Last Blood,” two would-be action blockbusters that need to start ramping up their awareness. What’s at stake: Jamie Lee Curtis, whose “Halloween” sequel blew the roof off CinemaCon last year, is back to pick up the CinemaCon Vanguard Award, which could mean she’d be on hand to introduce first looks at Rian Johnson’s much-anticipated “Knives Out,” out in November. This year’s CinemaCon takes place April 1 – 4 in Las Vegas, NV.